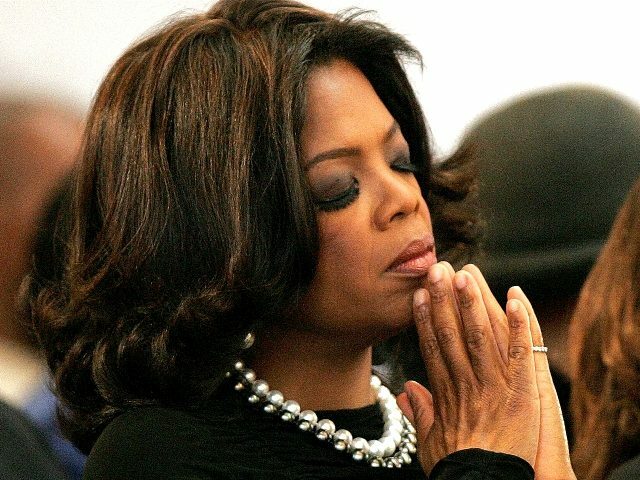 Oprah Winfrey has repeatedly said that she won’t run for president without receiving a sign from God, so Stephen Colbert felt it was worth mocking Christianity in an attempt to satisfy her prerequisite on Tuesday night. These satanic gimps sure do blow alot of hot air and they think their crap is hillarious. Guess who's going to have the last laugh! Psalms 2:4, “He that sitteth in the heavens shall laugh: the Lord shall have them in derision. Spot on! That's something i'll never understand, how one can follow the devil and the rest of the fallen devils, turning their back on our creator and LORD God Almighty(Jesus manifest in the flesh) and at the same time pretend they're righteous when we all know how saddistic and twisted these monsters are! Out of curiosity I watched that video. Oprah herself looked very good – with all that makeup on. Does her "inner GPS" replace God's sacred Spirit in her life? Stephen Colbert, laughing all the way, makes the upside-down pagan Roman Catholic cross over himself before he embarks on his sacrilegious skit that insinuates that God is stupid. But crossing himself made it all okay. He is also an ordained "minister" of an online "church", one of 20million other of its "ministers". Laugh now, people, because very soon it won't be funny at all.